An autopsy will be conducted to discover the cause of death for the 27-year-old singer. An autopsy did not reveal the cause of singer Amy Winehouse's death, and police say it could take up to four weeks for results of toxicology tests to say what killed the troubled 27-year-old singer. When Winehouse was found dead in her London home on Saturday, even her most ardent fans likely assumed it was drug-related. She had reportedly been on and off heroin and cocaine for years and was in such frail health from her addictions that she suffered from emphysema. But while initial reports said she'd bought a menu of drugs on Friday night, a subsequent report in London's Telegraph cited Scotland Yard sources who said no drugs were found in her home. "There was no wild party. It was just Amy and her security guard," her spokesman added. "She went to bed and when he checked her in the morning she looked like she was asleep. It was only when he checked later that he realized something was wrong and called the emergency services." If Winehouse, the beehive-haired chanteuse who combined jazz, pop and R&B to create such megahits as “Rehab” and “Back to Black,” was not on a bender Friday night, it might have been a rare recent moment of sobriety. Winehouse's distraught mother recounted meeting her daughter on Thursday, saying Winehouse "seemed out of it." The five-time Grammy winner was recently booed off a Belgrade stage when she tried to perform while obviously intoxicated, the latest comeback to be scuttled by her inability to control her appetite for drugs. Neal Sugarman, Winehouse's sax player, told the BBC that Winehouse's spiral had left her a shell of the pop star who ruled the charts in her early twenties. "Unfortunately the last time I saw her, which was a little while ago in London, it was not a pretty sight,” Sugarman said. “It was real depressing. We cut something that she wasn't able to sing on, which was a real drag." Early Monday, Winehouse's father Mitch, who left New York and flew home from a singing engagement of his own on word of his daughter's death, greeted flower-bearing fans outside her home. "This means so much to my family," the onetime taxi driver said. The news of her death also stunned Winehouse's ex-husband, Blake Fielder-Civil, who reportedly turned the singer on to drugs during a turbulent relationship she often referenced in song. Civil, who is now serving a prison sentence for burglary, collapsed in his cell, according to the Sun. "I'm beyond inconsolable … my tears won't dry," the paper quoted Civil. "I will never ever again feel the love I felt for her." 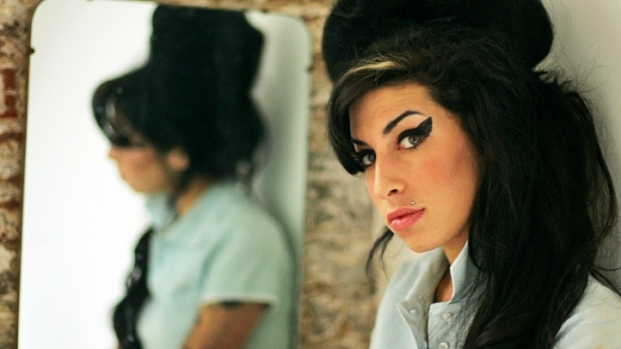 A rep for Winehouse told Us magazine she will be mourned at a private funeral on Tuesday. 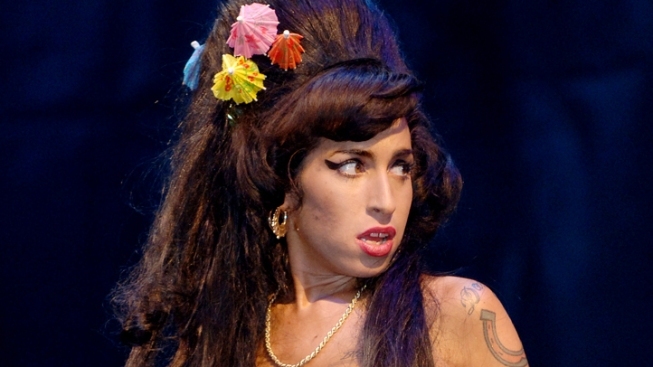 Winehouse joins a legendary "club" of music stars who died at age 27, typically felled by drug or alcohol abuse. Among them: Jimi Hendrix, Kurt Cobain, Janis Joplin, Jim Morrison, Rolling Stone Brian Jones and, nearly 75 years ago, Delta bluesman Robert Johnson. Last year, in an interview with Harper's Bazaar magazine, Winehouse summoned the bravado of reckless youth when asked if she had any unfulfilled ambitions. "Nope!" she said. "If I died tomorrow, I would be a happy girl." Selected Reading: Sky News, Telegraph, Rolling Stone, E!